You are here: Home / Town Happenings / Norad’s Santa Tracker is Up! 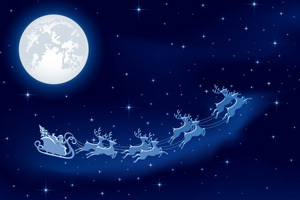 Norad’s Santa Tracker is Up! Also, if you want to call NORAD and speak LIVE with one of 1,200 volunteers on duty taking calls about Santa’s progress, call 877-HI-NORAD. Rumor has it the First Lady will even be fielding some calls from her vacation in Hawaii!